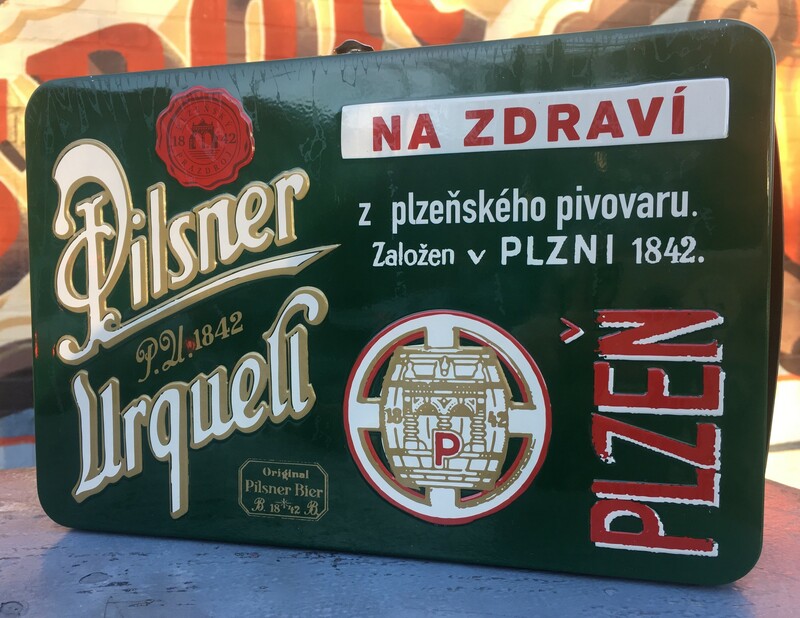 Pilsner Urquell is THE classic Pilsner, and it's one everyone really ought to try more than once. That's why you are getting a nifty little tin lunch box loaded up with four pints of this beer. Festive and thirst quenching! Nestled in the woods of Newcastle, Maine, Oxbow has for several years now been a destination brewery for lovers of farmhouse styles and wild ales. Now with a Portland location as well, slightly more beer seems to be filtering into the market, including this first ever 4-pack release of their flagship Farhouse Pale Ale. "European malts and American hops" doesn't entirely tell the whole story here as there is a pleasant yeasty character alongside the light, citrusy, lemony hops and the complex but pale malt backbone. A delicious, light, but complex brew. For their 25th anniversary, pioneering Canadian brewery Unibroue has crafted a new beer inspired by the flavors of a black forest cake.This dark and strong Belgian style ale clocks in at a hefty 10.5% abv, so it's somewhat surprising that the added cherry juice nearly overpowers the dark, chocolatey malt flavors. But not quite. With a 5 year shelf life, this would likely be a fun one to drink a bottle now and perhaps each subsequent year to see how it evolves. Truly decadent. Hey, we had to throw a sour beer in here. This is a classic Flanders style red / brown ale that is on the milder end of the spectrum as far as sours go. Have it with some Chinese food. Do it! Here's a rich, dark imperial stout from Night Shift that strangely seems to fly under the radar despite the immense popularity of this Everett brewery. Rich but quite dry, there's a real cacao, oreo cookie type flavor that becomes more intense as this one warms up.